History of Kazimierz dates back to 1335 when Polish King Casimir III the Great declared that on a small island on the Vistula river a new town was to be located. It was supposed to protect the southern boundaries of Krakow. With the decree of King Casimir III the Great, the new town became an independent royal city of the Crown of Polish Kingdom. The city was named Kazimierz, after its founder, King Casimir (Kazimierz in Polish). Jewish district in the town of Kazimierz was established in 1435. All Jewish inhabitants of Krakow were asked to relocate to the town on an isle on Vistula river. The reason for this decision was overlapping of Polish and Jewish interests. At that time it was an often procedure in European cities that a Jewish quarter was set up in the city. 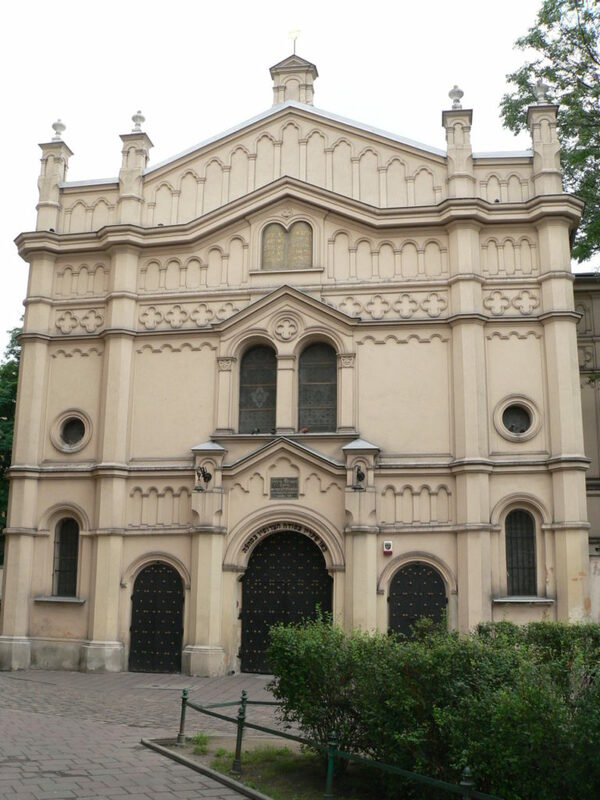 For centuries Kazimierz was a place of Catholic and Jewish coexistence and it quickly became one of the most vibrant Jewish centres in this part of Europe. The Jewish city of Kazimierz is now a part of Krakow and is no longer an island separated by a branch of the Vistula river. Jews living in Kazimierz created a fast-growing community. Town’s narrow streets were bustling mainly thanks to its inhabitants’ wide entrepreneurial skills and activity in commerce. Over time the neighbourhood became more crowded with synagogues, Jewish schools, cemeteries etc. The town of Kazimierz was separated from the city of Krakow with a branch of Vistula river and with city walls. In the 19th century, the walls were torn down and the river channel was covered to construct a new artery. The political and social situation of Jewish people in Europe was also becoming more complicated and many of them emigrated looking for safe haven. However, the majority of Jewish families in Kazimierz decided to stay in their homes, cultivating Jewish culture and tradition. Kazimierz remained the vibrant Jewish Quarter it has been for centuries, long after its administrative boundaries ceased to exist. The events of World War II were horrific for Jewish communities across Europe. All inhabitants of Kazimierz, nearly 17 thousand of them, were forced into a ghetto in the southern parts of Krakow. Many of them were transported to concentration camps, such as Auschwitz Birkenau. Later liquidation of the ghetto led to the destruction of the almost entire Jewish community. 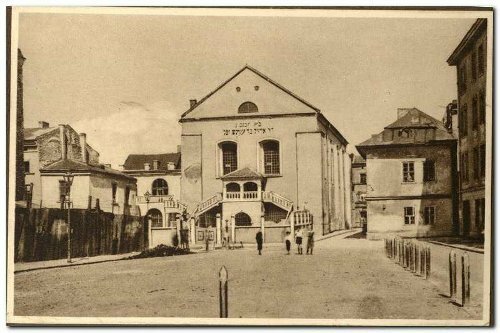 Jewish buildings, especially religious establishments, were regularly vandalised and used for example as ammunition stores. After the war, the whole area of the Jewish Quarter was devastated. No Jewish families had lived in this district after the war. For many years it was neglected by the communist authorities. It was only in the 1990s when the Jewish culture was once again introduced to the Jewish Quarter in Krakow. Thanks to events like annual Jewish Culture Festival and the fact that in 1993 Steven Spielberg shot “Schindler’s List“ in Kazimierz, more people took an interest in this part of the city. In recent years new generations, that have not been able to experience living in a mixed community, have been acknowledged with Polish-Jewish history. After all, not so long ago Jews were living alongside Poles in Krakow and every other Polish city. 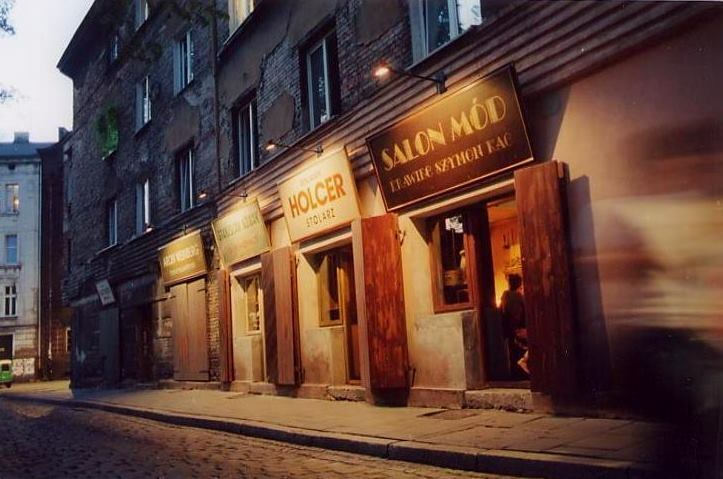 Kazimierz is now the heart of city’s nightlife with a number of restaurants and pubs. Many of them correspond with the Jewish Quarter architecture and are set up in a way to remind of this place’s tradition. The most original antique and souvenirs shops are located in Kazimierz. It is becoming a real bohemian neighbourhood. Although the district was devastated after the war and for many years had been neglected, reconstruction works and refurbishments conducted in Kazimierz in recent years brought back its prewar intimate atmosphere.